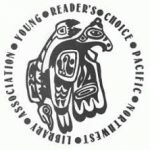 The YRCA books for 2018 will be available in Octocber/November to all students in grades 4-7. There are some fantastic books this year. See how many you can read! Who can vote? – Anyone in grades four through seven who has read (or has heard read) at least two titles from the list. When do we vote? – Between March 15 and April 15. Where do we vote? – Mrs. Araujo will provide the ballots. When are the winners announced? – In mid-April. Click here to watch some book trailers. Click here for YRCA resources at our library. These books are on the list but not available at our library. For more Info about YRCA click here. Have you read any of these titles? Post your reviews and comments here. Which book do YOU think should win and why?